For parents who still have toddlers in the family, picking the perfect toy can be a hassle considering the variety of toys available. For toddlers push toys are the recommended kind of toys since it helps them develop their motor skills and build their muscles. The best push toys are great in improving a child’s motor skills, assisting babies in learning how to stand up on their own feet. Push toys are also beneficial when it comes to helping a child develop strength, balance and confidence that would help in learning to walk unaided. There are a number of push toys available on the market in 2019 which makes it difficult to determine which ones are worth buying. Some of these toys are also multi-purpose, that is they have more than one function and can be used for other purposes besides being a push toy. Other push toys have a built-in activity center designed to further engage the child while they play with the toy. Regardless of their price, these toys are valuable aides in the growth of any child. Listed below are the best push toys designed to be entertaining to children. 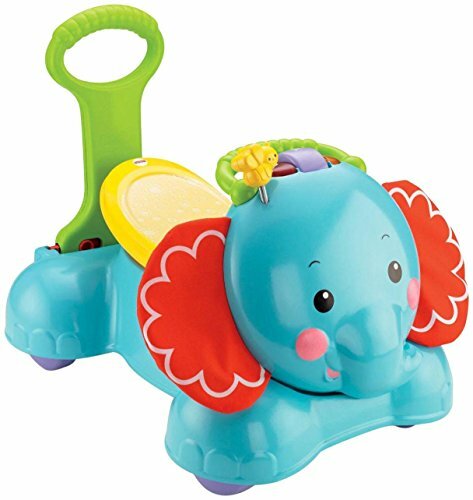 First up is Fisher-Price’s 3-in-1 Bounce, Stride and Ride Elephant push toy. As the name implies, children can play with this push toy in three different ways. Your child can bounce on it, push it around or ride on it. This push toy also has its own customized lights, sounds and music; with pre recorded phrases such as “I am an elephant” or “I like to stomp my feet”. The video below shows you the different ways toddlers can interact with the Fisher-Price 3-in-1 push toy. 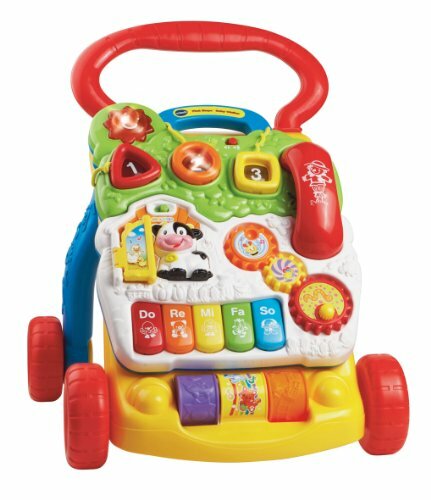 Vtech also has their own 2 in 1 push toys for children. The Vtech’s First Steps Baby Walker from the popular brand is both a walker and has its own activity set which can be removed if desired. The activity center has a moving roller, movable cogs, a keyboard and other playable features. The walker helps your child develop walking motor skills and hand-eye coordination, it is not suitable for toddlers who are younger than 6 months. Chicco’s Baby Steps Activity Walker also has an activity center attached to the walker, which has four wheels for guaranteed stability. The activity center has a variety of features such as cogs, shapes and lights to entertain children. 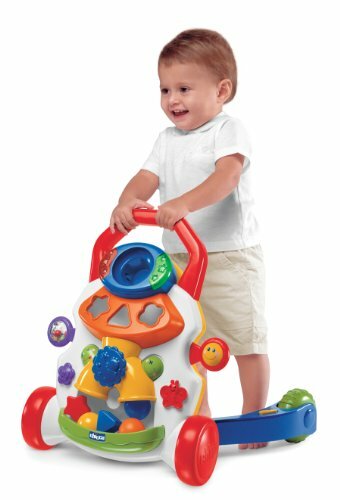 The push toy is designed to play music as soon as the toddler begins walking with it and stops playing once the child stops moving providing an incentive for the child to continue playing. Take a look at the child having a blast while playing with the Chicco Baby Steps Activity Walker. If your child is still in a learning phase and is being introduced to push toys for the first time, parents should assist them in placing their hands on the handle bars and assist in standing. Allow the child to practice every day and with a little effort, the child would be able to stand and walk on their own.